When Booking direct with Keri Village & Spa by Zante Plaza – Adults Only you get access to great Discounts & Special Offers. 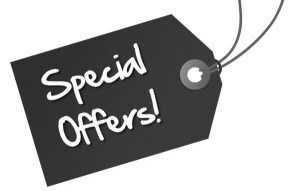 These offers are bookable via our secure Online Booking Engine, by Email, or Telephone Call. We update our website on a regular basis concerning the deals we run. You can also subscribe to our newsletter and Like us on Facebook, so you will be from the first ones to know. We are currently running an Early Booking Discount (EBD) for all reservations made Online directly with us. If you book before 29.02 and for stays through the summer then you get a discount of 10%. *there is a minimum stay of 7 nights. *Discount is valid for all room types & travellers. We offer promotional codes and Discount Coupons. Stay connected by subscribing on our Newsletter. By adding a code into our booking engine you can save up to 50% on the Best Available Rates. Complimentary bottle of wine and flowers in the room upon arrival to surprise your loved one. 100% free of charge, just add the promotional code during the booking process. *The promotional code is valid for all bookings through the summer and it has to be sent to you through Email or you have already received on our newsletter.